Ladera is a luxurious, open-air resort in St Lucia which caters exclusively for adults, set within a UNESCO World Heritage Site in a spectacular rainforest location in the south of the island. On a hillside with the Caribbean Sea crashing over 1,000 feet below, guests have beautiful views of the Pitons making a stay at Ladera Resort a truly unforgettable experience. The style of the resort is unique and typically St Lucian with natural materials, furniture made on site, works of art and mosaic tiles throughout. With just 32 suites and villas, this eco-friendly, boutique hotel is a romantic and private retreat. Suites are located along a ridge and are each missing a west-facing wall, allowing guests to enjoy the ultimate ‘outside in’ experience in complete safety and privacy to make the most of this stunning landscape. Each room also has a private plunge pool with spectacular views, while some also have a swing in which guests can sit to take in the vistas. A kit is provided for all guests which includes binoculars, eye masks and a star chart for night sky viewing. Dasheene is Ladera’s award winning open-air restaurant set against the backdrop of the dramatic Pitons. Guests and visitors will be able to enjoy outstanding St Lucian cuisine prepared with local produce and paired with wine chosen from the cellar’s 1000 bottles. Live local entertainment is offered in the Bar at Dasheene and during the famous Sunday Brunch, plus guests are invited to the manager’s weekly cocktail party. The Spa offers a variety of relaxing treatments and massages, either in one of the four treatment rooms, in your suite, in the spa gardens or outside on Paradise Ridge. Guests staying at Ladera can enjoy a vast range of excursions and sightseeing activities, from Piton hikes and rainforest tours to whale watching and sunset cruises. There are also daily cooking demonstrations and bartending classes, as well as tours of a local Saturday market. There is a scheduled shuttle to Sugar Beach where guests can relax on one of St Lucia's best beaches and dine in the restaurants (chargeable locally). Ladera is also only a short distance from Boucan by Hotel Chocolat, allowing guestst to dine here as well. Enjoy a holiday to Ladera and allow the Caribbean trade winds to provide you with a cooling breeze on your terrace as you watch sunset, while overlooking the tropical landscape surrounding the famous Pitons. We would recommend combining a stay at Ladera with a few days in the north of St Lucia. Ladera is a quirky, beautiful, intimate rainforest hideaway set above the world famous Pitons of St Lucia. The breathtaking views provided in each suite due to the missing fourth wall combined with the private plunge pools offer you a completely relaxing and memorable hideaway holiday. Ladera runs its own shuttle that runs you up and down to the beach- so dont get put off by the fact you are not on the beach! You get the best of both worlds in my opinion, the beach nearby and the incredible location and views from being perched high in the hillside. Ladera will always be a firm favourite of mine. 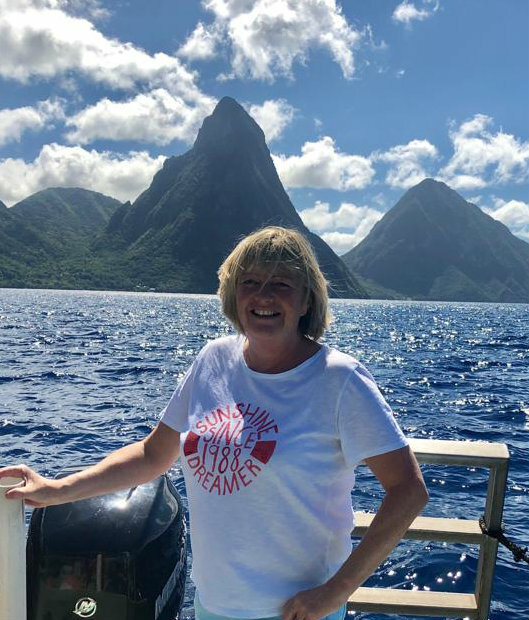 For more information about Ladera or alternative resorts, take a look at Su's St Lucia Trip Diary.